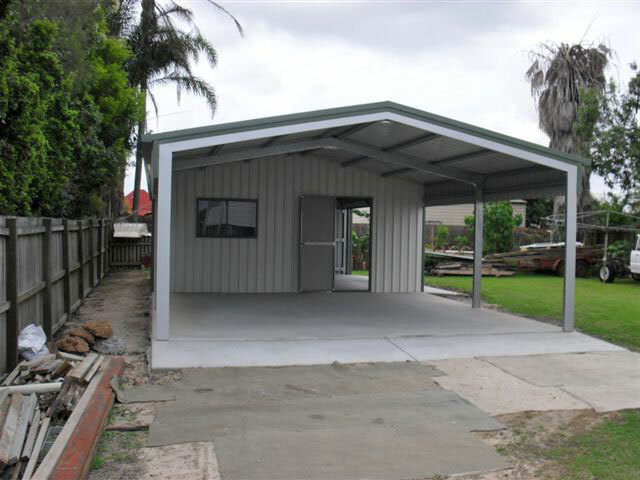 The example shown has an 11 deg pitch but is also available in 15, 22, 30 and 45 deg to suit the design of any existing building. 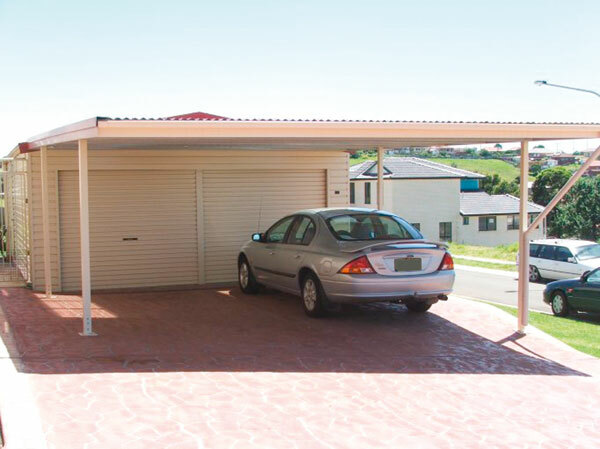 The picture shows the gable end clad option that adds a touch of style to the front and rear elevations. 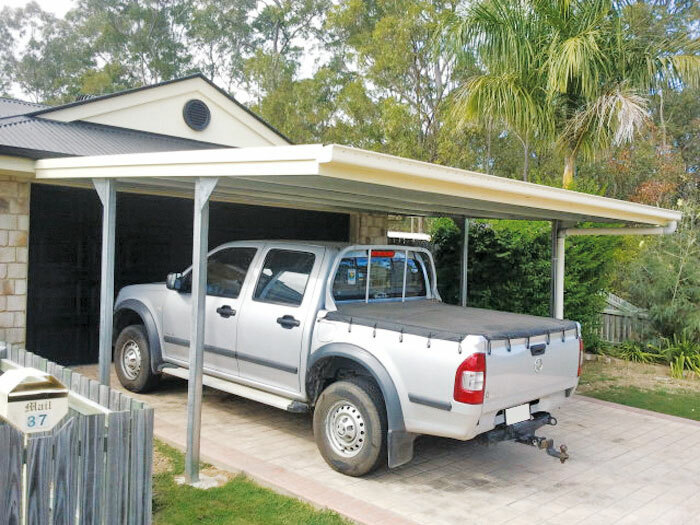 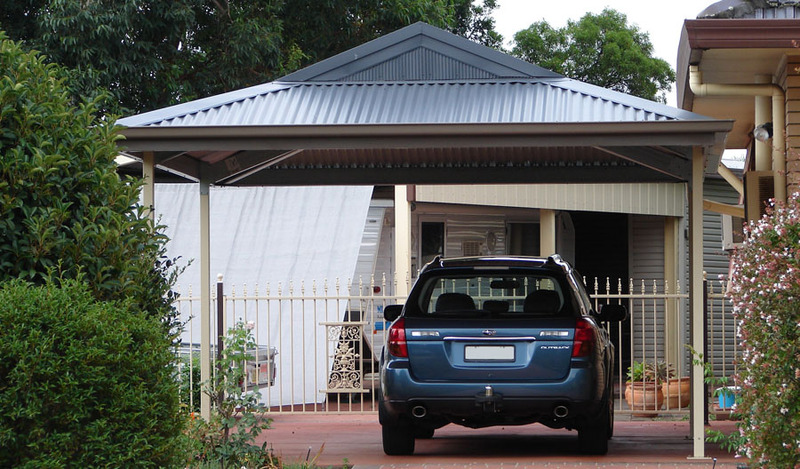 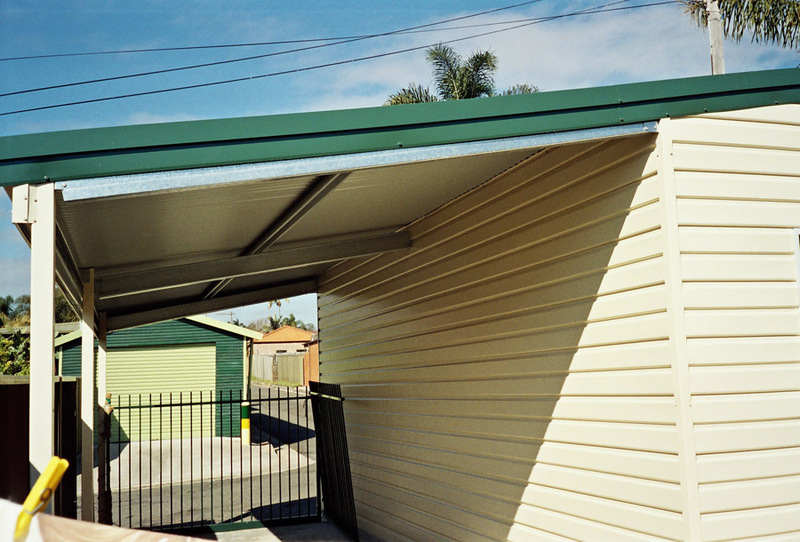 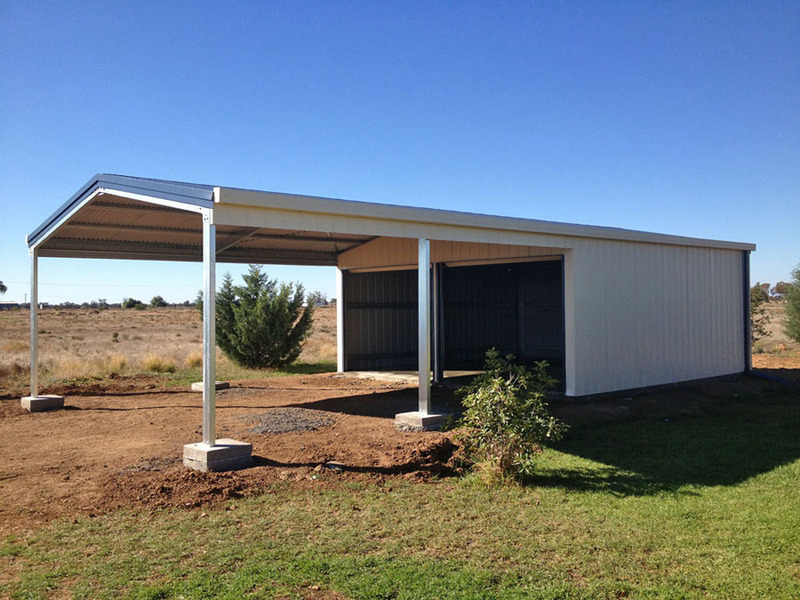 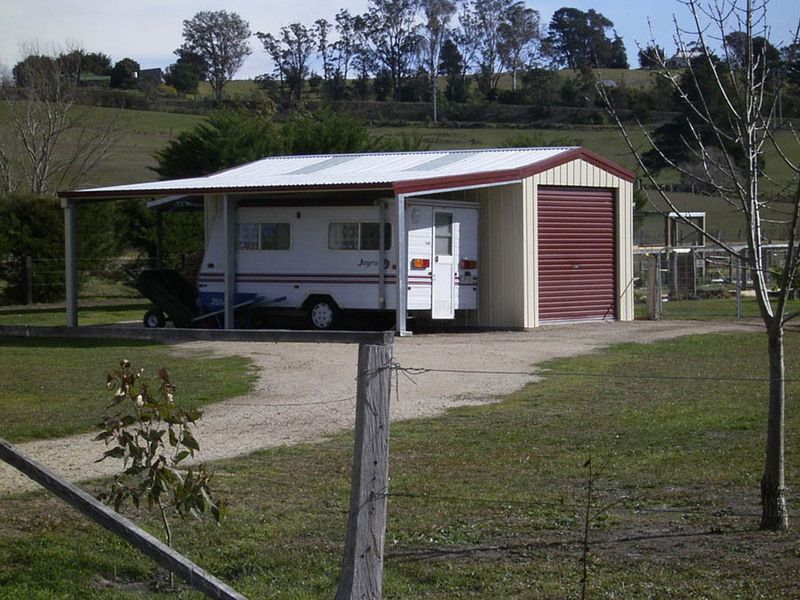 The Garaport addition to your Fair Dinkum shed can be a cost effective and attractive way to increase your storage, workshop and parking area. 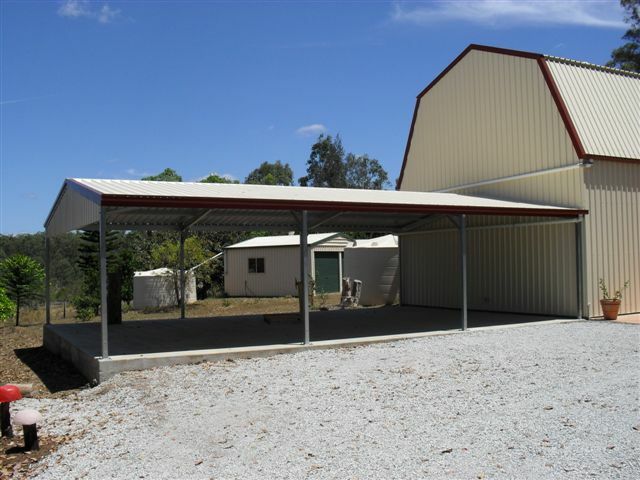 This example shows a range of possible options including an attached Garaport and open Lean-to, along with a roller door and two personal access doors. 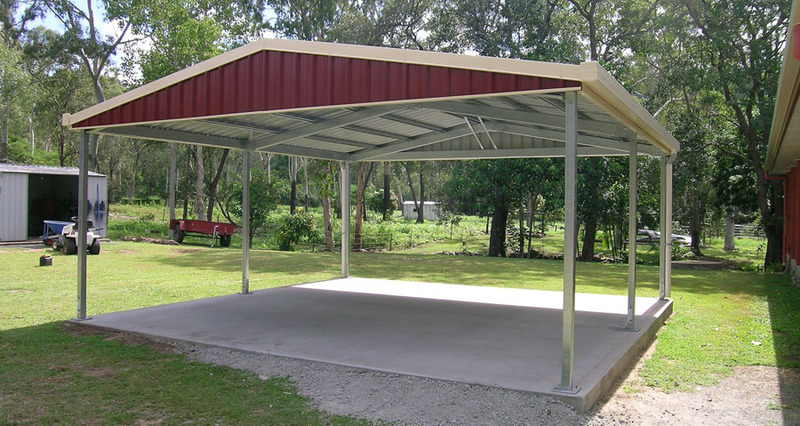 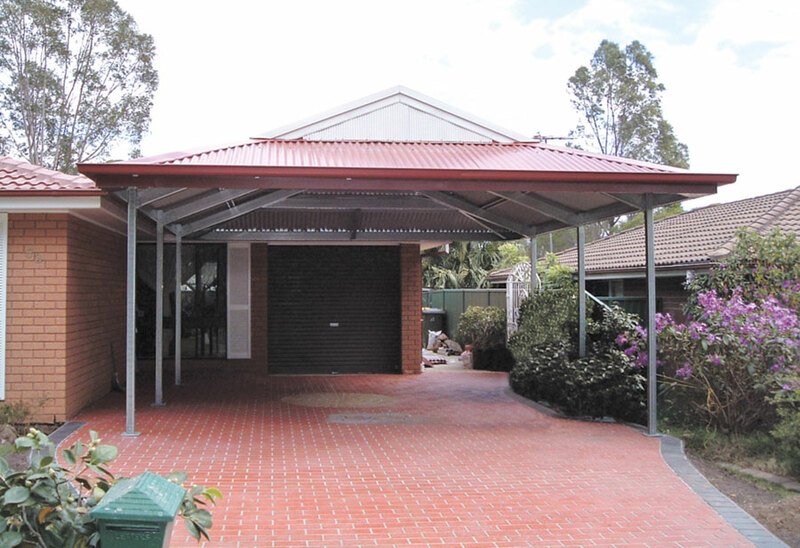 This example also shows the garage is built on isolated piers which can be a much cheaper option to pouring a concrete slab initially.